My Descent into Descent: The Honorable Stephen Hart, a.k.a. "Old Squire Hart"
The Honorable Stephen Hart, a.k.a. "Old Squire Hart"
The Honorable Stephen Hart, grandfather of Melvin J. Hart, and my three times great grandfather, was born in Hart’s Village, Dutchess County, New York in about 1769. He was the son of Jeremiah Hart, who fought in the American Revolution, and Abigail Pearsall Hart. When Stephen, the eldest of eight children, was about six years old, in 1775, the family moved to Stillwater, Saratoga, New York, where they homesteaded in a log cabin. His parents lived in the cabin for the rest of their lives. Stephen’s siblings were Philip, John H., Reuben, Phebe, Jeremiah Jr., Sarah, and Hannah. He married Elizabeth “Betsey” Scidmore sometime between about 1790 and 1795. She was born in May 1773, in Malta, Saratoga, New York, and was the daughter of John Scidmore, also a veteran of the Revolutionary War, and Elizabeth Brundage Scidmore. Betsey, like her husband, was the eldest child, but of a family of ten. 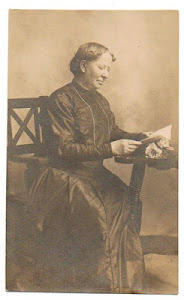 Her siblings were: Rhoda, Mary, Wealthy “Peachey”, John, Abner Brush, Sarah, James, and the twins, Elijah and Elisha. While Stephen and Betsey were still in Stillwater, Stephen became a founding Officer of the Methodist Episcopal Church of Stillwater, which was incorporated on March 26, 1800. He was to remain an active member of the Methodist Church henceforth. In 1805-1806, Stephen and his family came with the families of Betsey’s sisters, Wealthy “Peachey” Scidmore Hunt and Mary Scidmore Armstrong, who had married James Hunt and James E. Armstrong respectively, to the area now known as Pinckney, Lewis County, New York, but was then Harrisburg, Oneida County. They are all considered early settlers of the region, and all raised large families. They all purchased land on Whitesville Road, and the Hunt family lived next door to the Harts. Stephen was apparently quite close to his brothers-in-law all his life. Stephen and Betsey had the following fourteen children: Phebe, Sarah, John, Richard, Wealthy, Abigail, Fanny, Jeremiah, Philip H., Alvin S., George, Reuben, Stephen A., and James. (It is not clear where Phebe falls in the birth order). The first meeting of the town of Pinckney in 1808 was held in Stephen’s home. He was to be elected Supervisor of the town for the periods of 1810 to 1814, 1816, 1818 to 1820, 1824 to 1826, and 1830 to 1831. He was appointed Justice of the Peace in 1813 and 1819, and Assistant Justice in 1816. He was elected as a Member of the New York State Assembly for the counties of Lewis, Jefferson, and St. Lawrence in 1820, and served from 1820 to 1821. He was like a New York State congressman, if you will. When he was appointed Judge and Justice in 1821, there was some protest in the newspapers about state assemblymen receiving appointments such as these. Some of his activities in the years after being a Member of the New York State Assembly were to be appointed to arrange for the building of a poorhouse in Pinckney in 1824, and to help found the first Methodist Episcopal Society in the town in 1831, which was charged with the building of a church. Before the church was built, Stephen and Betsey’s home was known as a Methodist “preaching place” for all that region, where itinerant preachers came for “services” or for “entertainment”. Meetings were also often held in their home, which was described as “an important factor in the community”. Stephen was apparently widely known for his integrity. There is a story about how he braved a storm in order to pay back fifteen cents which a vendor had mistakenly neglected to charge him. There is another story, not about Stephen’s integrity, but about his relationship with his brother-in-law James Hunt, in which they were both “hunting cows” in the woods unbeknownst to each other. They were both carrying guns. James, seeing Stephen, and being a jokester, hid himself behind a log and made some “hideous noises”. Stephen, having heard James make similar noises in the past, called out, “Jim--is that you?” Hunt made no reply, except to make another such noise. Hart then called again, “Jim, if that is you, speak, or I will shoot”. Hunt then apparently checked out the height of the log, and then decided to make himself known. In his later years, Stephen was referred to as “Old Squire Hart”. He died at the age of ninety-two on November 1, 1861 in the house on Whitesville Road, his wife Betsey having died about a month earlier, on September 29, 1861. They are both buried in Pinckney Corners Cemetery. Again, I am grateful to Jerry of the Lewis County Historical Society for information he provided me which I could not have obtained anywhere else, and to Sid and Bonnie of NNYGenealogy.com for kindly providing the photo above.